Air conditioners are the ultimate solution to beat the heat of the summer months. 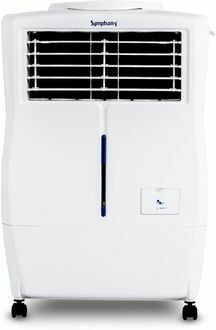 However, if you are not able to bear the cost of one, you can opt for an air cooler. 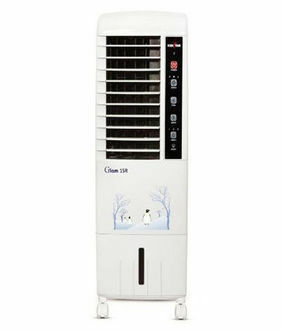 Unlike air conditioners, air coolers do not require any installation and can easily be moved from one room to another. These come with built-in water tanks, where you need to pour in cold water to get the cool breeze from the machine. 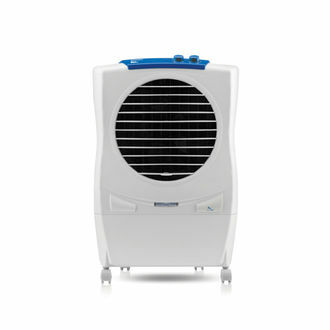 There are several manufacturers of air coolers in the Indian market, which include Kenstar, Symphony, Bajaj, and Orient. Their products are made with the latest technologies and come with several features such as multiple speed settings, transportation wheels, and great air throw range of 24 feet and above. 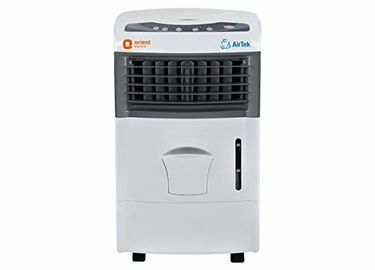 Visit us to find the price list of 7 Room below 20 L Air Coolers, updated on 23rd April 2019. When you decide to buy a new air cooler, always choose the one which is capable enough of cooling the atmosphere of the room where you plan to use it. A larger room will demand a powerful machine and vice versa. 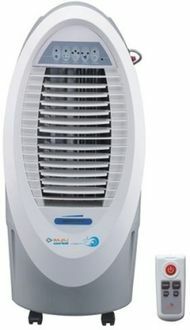 A wide range of air coolers is also available on various big online shopping websites such as Amazon, Flipkart, and Shopclues. These sites help you enjoy your shopping experience by making it very simple to compare different products in a few minutes and also delivering the products at your doorstep.